PanelViewsStandard operator terminals are engineered for maximum performance in space saving flat panel designs. These electronic operator interfaces feature pixel graphics capabilities and high-performance functionality in color, grayscale, and monochrome displays. 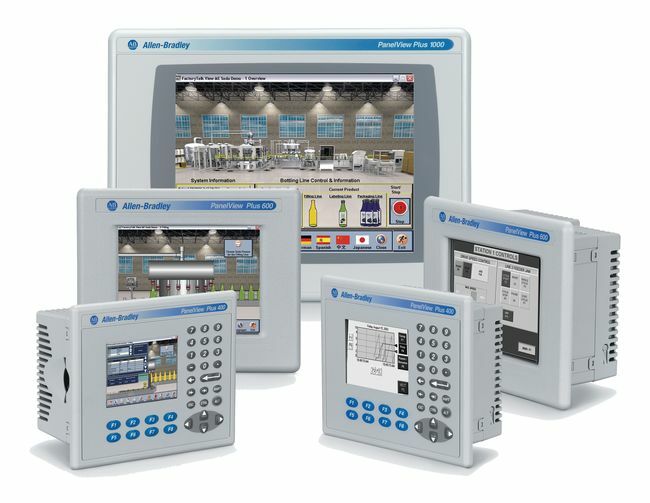 The PanelView Plus 6 terminals give operators a clear view into monitoring and controlling applications. 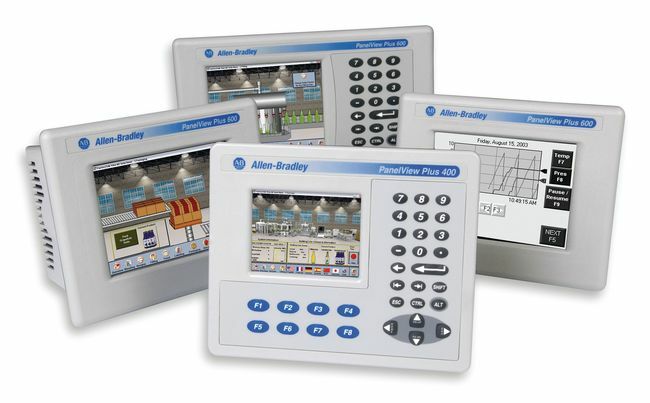 The smaller PanelView Plus 400 and 600 terminals combine a 4 or 6-inch display in the same base unit with the logic module, memory, power, and operator input. Color or grayscale displays render images as 18-bit color 32-levels of gray. Flexible input options include keypad, touch screen, or combination keypad/touch screen. 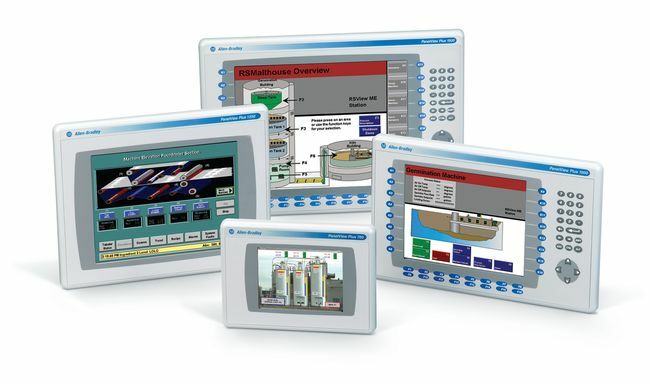 The PanelView Plus Compact 400, 600, and 1000 terminals offer just the right hardware and software functions to meet the needs of midsized applications. Any application created for a compact terminal is also compatible with other PanelView Plus terminals.